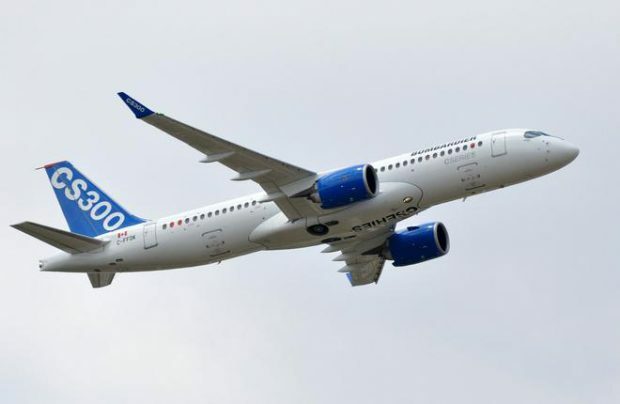 Russian leasing company Ilyushin Finance Company (IFC) used the Paris Air Show to announce an agreement to place six Bombardier CS300 narrowbody airliners with an undisclosed customer. The contract, to be finalized within the next two months, will markIFC’s first CS300 lease deal, the company said. The aircraft will be leased for 12 years. All the airliners will have a single-class cabin configuration seating 150 passengers. Deliveries are scheduled to begin in 2019 or 2020. IFC has at total of 20 CS300s on order. The initial contract, for 32 aircraft, was revised last August. At some point the lessor announced that Russian carrier VIM Airlines was planning to lease five CS300s. No further information followed regarding the possible deal. The Russian lessor has also ordered two Q400s turbopros from Bombardier. Both are intended for Kenyan low-cost carrier Jambojet, which has already taken delivery of the first example. The transaction became IFC’s first experience with a Western-built aircraft type.